Two top-ranking auctioneers sit together one day talking about the trends of the time. They talk about their thriving companies. They talk about the changes in their industry. They talk about their clients and the needs they are facing. Together they begin to realize that their clients are dealing with the same issues. Lack of time at their events. No millennial support. Tired events, old entertainment, has become the rubber chicken dinner at the events. No one is excited any more. Support is changing and the climate is changing. Clients are searching for somethin g that doesn’t exist. Together the auctioneers realize they can better serve and help their clients. Together they see a need and decide to create a solution. What will this mean? Professionally they will be changing their industry. They both grew up with traditional auction methods. They trained with the best auctioneers in the world. One of them is a World Champion Auctioneer. But together they can no longer hide from the truth and they know their best interests are not the clients’ best interests. 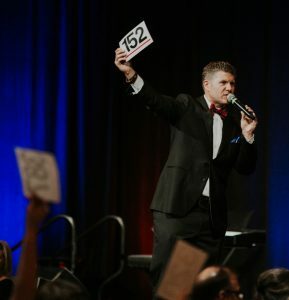 Silent auctions are dead and live auctions have lost their power. Auctions are over. Two incredible auctioneers are looking at a void. What will they need to do to help their clients? Extensive researching, creating, studying, doing trials, taking polls, and becoming even more experts in a field that never had an expert before. What does it mean to form a company that never existed before? Together they have decided to become the force needed to make the change. Special appeals. Trainings. Seminars. Consulting. Board trainings. National trainings. Client information. Becoming the new face of fundraising. 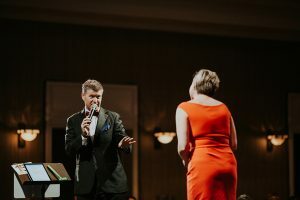 Two top ranking auctioneers leave their auction world and tell the nonprofit world it’s time to step up their special appeals. 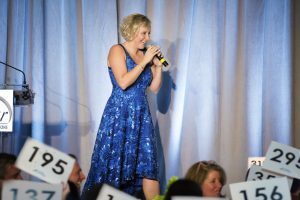 It’s time to invest in the future of special event fundraising. If they want to get the funding needed to grow and make the impact they so fervently want to create, then it’s time to stop being afraid and to take the leap. Hire experts and invest in the future. No more time wasted on item acquisition. No more money thrown away on items and coordinators. No more old. 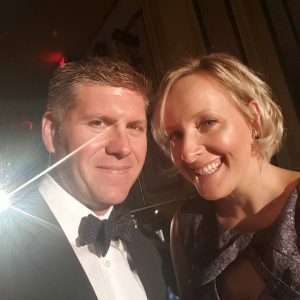 Instead it’s time to breathe life back into the nonprofit gala world. These two auctioneers are taking the risk because they know that the time is now.